How will your Italian school know my level in Italian? 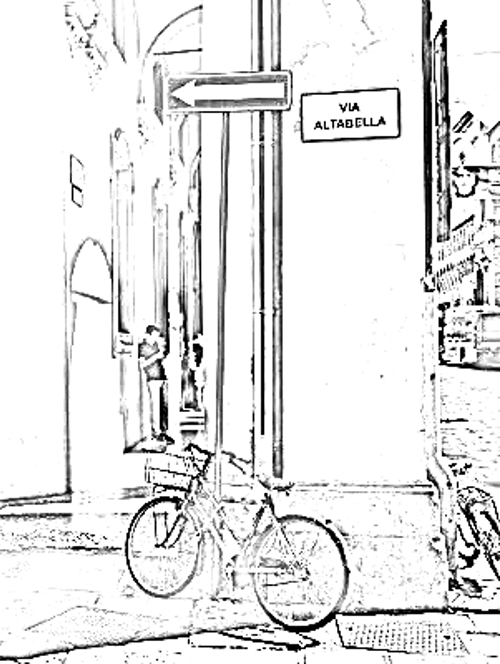 You are here: Home / News from Madrelingua Italian Language School / How will your Italian school know my level in Italian? You’ll learn Italian more easily if you study in a group with other students who know approximately as much of the language as you do. That’s one good reason to choose a professional, open-all-year-round Italian language school – you can be confident of studying in a class at the right level, and so get better results! But given that you may be booking your Italian study vacation many months ahead of time, how will the school know your level in Italian? How do they know in which class you’ll study, without even having met you? When we receive a confirmed booking, whether it’s for a course starting next Monday, or one beginning eleven months from now, we’ll e-mail you a level test. There are 44 multiple-choice questions – you read each question and choose A, B, C or D.
The first set of questions tests things that we’d expect you to know at the end of an A1-Beginner/Elementary course. The second set covers the things you’d learn at A2. The test ends with two short texts to read, with two comprehension questions about each one. When you e-mail us back your results, we print them out, check your answers and analyse the result. As well as the total score, the distribution of the correct and wrong answers tells us a lot. Using the level test, it’s usually fairly easy to work out if you’ve studied Italian before, and if so, to what level. Besides the test, we consider other information you’ve given us. It’s helpful to know your mother tongue, for example. Spanish, French and Portuguese speakers will have an easier time with Italian, because of the similarities with their own language, compared to, say, English-speakers or students from Asian countries. We also like to know if you’ve studied other foreign languages successfully – an English-speaker with a knowledge of Spanish would typically do better on the test than one without. Knowledge of one language often helps with another. But it’s also a question of experience with language learning. We try to be extra attentive with clients who we know have no prior experience of learning any foreign language! But what if things change between the time you book your course and take our test, and the date you begin studying at our school? Perhaps, in the meantime, you’ve been busy taking evening classes in Italian, or learning online? Not to worry! We’re always alert to the possibility that the test you completed could give a false impression of your real level. You might, for example, be stronger or weaker at actually speaking and understanding Italian. For this reason, we’ll be looking to confirm our estimate of your level when we meet you on the first morning of your course. We have teachers, as well as admin staff, standing by before classes start, for exactly that purpose. So, that’s how we know your level before you even arrive in Italy.